Ultra-rich hydrating cream provides immediate relief for uncomfortably dry skin. Our most nourishing moisturiser for very dry, thirsty skin. This luxuriously rich cream moisturiser provides immediate relief for uncomfortably dry skin. The velvet texture is packed with emollients, skin-soothing plant extracts and replenishing plant oils to thoroughly hydrate the driest of skins. It quickly replenishes the skin’s surface, smoothing dryness and the appearance of wrinkles for skin that feels and looks soothed, hydrated and radiant. Thisis hands-down the best moisturiser I have ever tried. It is not greasy, leaves skin super soft, it is amazing around the eye area. I mix it with hyaluronic acid and vitamin c at night and my skin looks amazing. I've been a PC user for many, many years, but over time, none of the moisturizers were working for me. I started using this about a year ago, and I have loved it from the beginning. It does seem very thick coming out of the tube (think body butter), but if you warm it slightly between your fingers, it absolutely melts into your skin, leaving no greasy feel behind. It moisturizes so well and has helped my dry, easily-irritated skin immensely. I use it every day, all year long. Having used PC and loving it, I bought this for my husband. He's a convert to PC and this moisturiser is now a firm favourite. I recommend this for with dry, flaky and red skin, it works wonders! This is the most soothing moisturizer I have ever tried. I was using (and still a fan of) the Moisture Boost and Skin Recovery moisturizers, but I find this has a more breathable texture - even though it is a VERY thick cream. It has a body butter consistency that is best warmed up between your fingers before applying (I like to use either a drop of the oil booster in winter, or serum / HA booster the rest of the year) and it completely sinks into the skin. It's expensive, and it doesn't have the largest array of anti-aging ingredients, but it feels like heaven. If you're having problems with any actives such as retinol, I'd imagine this would be a good fix for your irritation woes. Also considerably less greasy than the other PC dry skin moisturizers - worth the price tag! Emollient plant oil beneficial for dry skin because of its fatty acid content. What’s the difference between Skin Recovery Replenishing Moisturizer and Clinical Ultra-Rich Moisturizer? 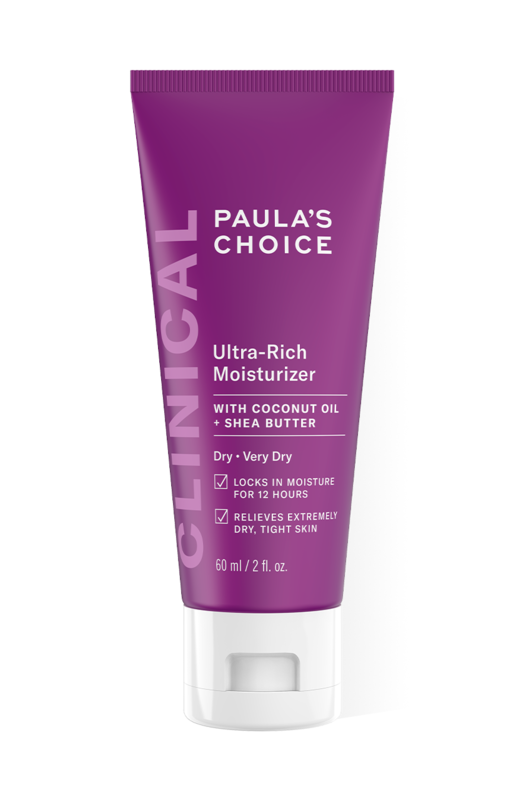 The main difference is texture and that Clinical Ultra-Rich Moisturizer was formulated to address the needs of those whose dry skin doesn’t respond as well as they’d like to other moisturisers. If you’re using Skin Recovery Replenishing Moisturizer and it’s taking good care of your dry skin, stick with it. But if you’ve tried the Skin Recovery formula in the past and found it wasn’t enough to treat your very dry skin, then Clinical Ultra-Rich Moisturizer is for you. Both of these moisturisers contain a blend of state-of-the-art ingredients that provide hydration and anti-ageing benefits. It’s not a question of one being better than the other; it’s a question of which one would work best for you—and that all comes down to how dry your skin is and whether you prefer a rich cream (Clinical) or lighter but still substantially moisturising cream (Skin Recovery).